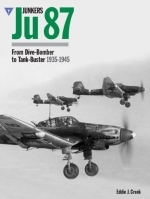 As with the other recent books in this series, this Classic study of the Ju52 offers the most definitive account published in recent years of this bulwark of the Luftwaffe which first saw military service in the 1930s and was then engaged in operations in the Spanish Civil War through to the end of World War 2. The all-metal, three engine Ju 52/3m enjoyed a solid reputation amongst its crews and the troops and paratroops who used it and depended on it. It is a machine synonymous with the images of the German attacks on Holland and France in 1940 and Crete in 1941 when hundred of 'Tante Jus' were used to drop paratroopers to successfully capture key tactical and strategic areas. The full history, however, goes back much further. Built as a passenger aircraft for Deutsche Lufthansa, the Ju 52 ranges as far as South Africa, Mozambique, India and Latin America, as well being operated by several other European countries such as Belgium, Equador, Peru and Uruguay. Britain operated several Ju52s. The aircraft was first blooded in the Spanish Civil War, where it was pressed into service as a crude, but effective, bomber with the Legion Condor. 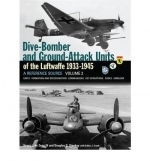 From then on the Luftwaffe deployed it on every battle front in the West, in the Mediterranean and in the East. An example also flew in Iraq. 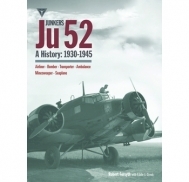 The Ju 52 served as a stalwart transport, often operating in the most hostile conditions, with ice or dust, lifting men, animals, food, supplies, ammunition, mail, and spare parts vital for German military operations, such as the North African supply routes, at Demyansk, Stalingrad and also in the Ardennes in 1944. It was also converted into the ambulance and mine-hunting roles, and was adapted as a seaplane. After the war, the Ju 52 flew on as late as the 1980s, testimony to its strength and reliability.